Location! Location! 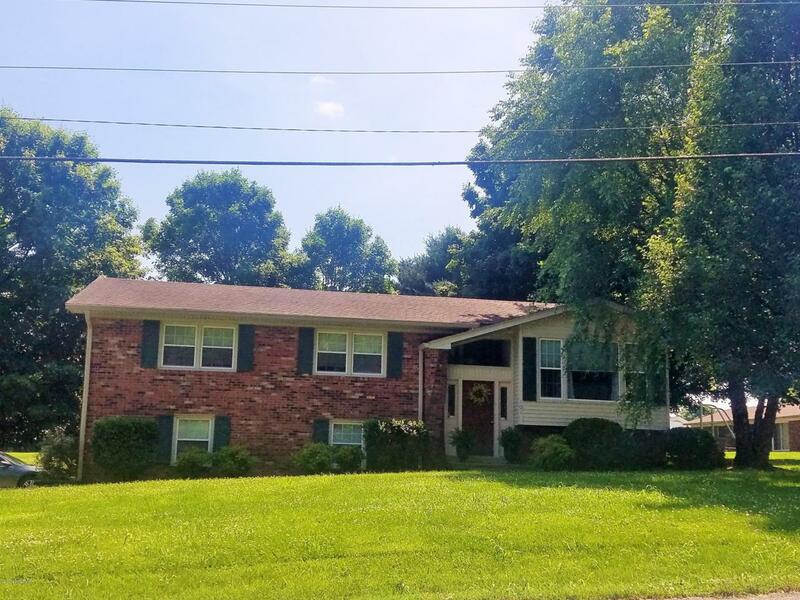 Welcome Home to 101 Dogwood Dr located in the heart of Bardstown Ky. New HVAC & insulation 7/2/18. This 4 bedroom 2 1/2 bath brick home boasts 2128 sq ft with basement & 2 car attached garage. Close to schools, shopping, restaurants & churches. Gorgeous updated eat in kitchen 2017, equipped with appliances,refrigerator, range/oven,dishwasher & microwave & an abundance of cabinetry & pantry. Nice new laminate flooring 2017, updated windows 2011, updated baths 2011. Spacious living room with plenty of light. Large master bedroom with half bath . 2 nice sized bedrooms & great full bath (double sinks) all on main floor. 4th bedroom, full bath & 2 bonus rooms (possible bedrooms, office etc ) in basement. Outside you will find large deck for entertaining & relaxing.